On Monday, August 5th, we will begin offering our SincVideo services to our partners using the SincSports.com tournament management system. Contact us today to find out if SincVideo can be included with your event. SincVideo is a new service we can offer to you and the teams participating in your events. Coaches and managers can order full game videos and athletes (especially those interested in playing in college) can place an order for a professional highlight video. This service is just another great benefit that you can offer to your teams to make your event stand out! How much work is this going to require? One of the best parts about SincVideo is that it will not require any work on your part. SincVideo has been integrated into the SincSports.com tournament management system so it’s as simple as letting us know you’re interested. We will confirm that we can get videographers out to your event and then we’ll get the system set up for you. SincVideo has been integrated into the automated email system so each athlete will be informed that professional videographers will be on site at your event and they’ll be able to submit their order directly through your tournament website. The auto email will have a section for SincVideo. Interested athletes can click the button to learn more and place an order and those that aren’t interested can just click the link to remove it from future emails. How will this be integrated into my website? 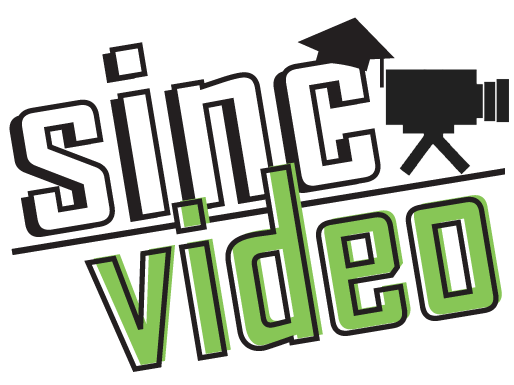 When you’re ready to begin taking orders, we’ll add the SincVideo logo to your website. Teams can click that logo to view more information and place an order. Besides being able to offer another great feature to our teams, do we get anything else out of this? Yes! We’re extremely pleased that we have set this service up in a way that provides profit sharing to the events that offer SincVideo. We are very excited to be able to offer SincVideo to our events, teams and athletes using SportsInCollege.com and SincSports.com. Please contact us to learn more about SincVideo and how we can offer this service for your next event!